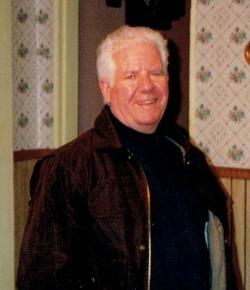 Arnold Floyd Nicholson, 78, passed away peacefully with family by his side following a brave and lengthy battle with dementia at the Magnolia Continuing Care Facility in Enfield NS on April 10th, 2019. Born in Montague PEI, he lived most of his life in Riverview NB. He was a devoted husband to his late wife of 53 years, Geraldine, a wonderful father to his son Michael (Denise) and "papa" to his grandchildren Adrienne and Hazen. He was predeceased by his brother Jimmy and is survived by a brother Raymond and sister Belle. Ever cheerful and always ready with a joke, Floyd was involved for years with the Knights of Columbus and enjoyed volunteering. A funeral service will be held at Immaculate Heart of Mary Church, Riverview, NB at 11 am on Tuesday, April 16th 2019. Donations can be made to Ostomy Canada Society Moncton Chapter (132 Waverly Ave. Moncton, NB E1C-7V2). Heartfelt thanks to all past/present staff of the Magnolia who provided loving care to Floyd throughout the 8 years he resided there. Words cannot express how grateful we are for the love and devotion that was provided to him.